Increase the reach for your games. With Eneba you can sell more. Ability to automate sales using API. 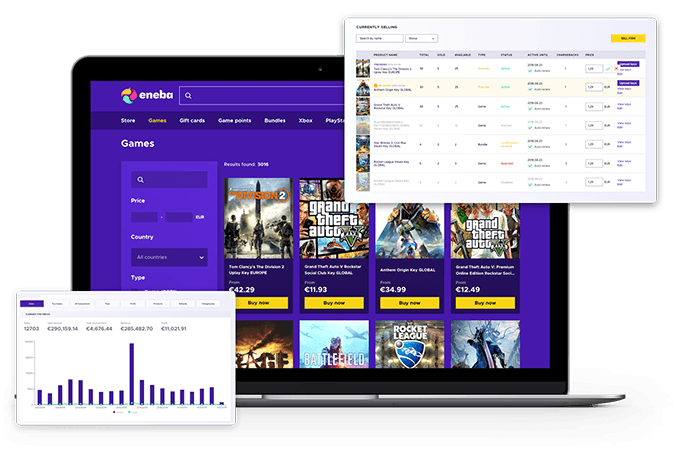 Eneba is opened for all verified suppliers of games. Our fast settlements and detailed reports will give you simple and easy access to data of your sales. We encourage API integrations to automate the cooperation. Please contact us to learn about the service in greater detail. Fill this form and start selling!